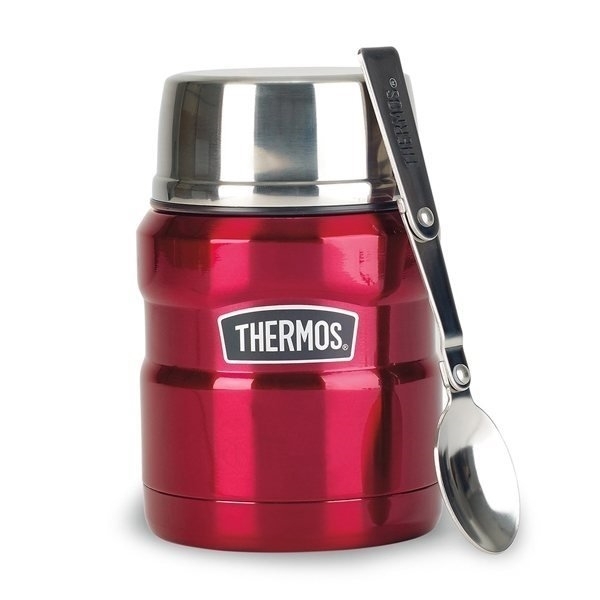 Thermos™ vacuum insulation technology for maximum temperature retention, hot and cold. Compact and insulated stainless steel serving bowl. 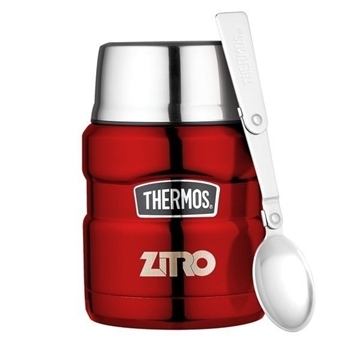 Full-size folding stainless steel spoon. Keeps hot for 9 hours. Keeps cold for 14 hours. I can't say enough great things about this product! We ordered it for our bi-annual trade show to house all of our ins, and everyone could not stop gawking at it! Great product! The students LOVED them! I did not have to worry about receiving these by my event date. The staff was able to put a rush on my order and made sure I would have my order on time. Thanks and great job. there is really nothing ab out this product that we just don't like.